Djibouti ( ; Arabic: جيبوتي‎‎ Jībūtī, French: Djibouti, Somali: Jabuuti, Afar: Gabuuti), officially the Republic of Djibouti, is a country located in the Horn of Africa. It is bordered by Eritrea in the north, Ethiopia in the west and south, and Somalia in the southeast. The remainder of the border is formed by the Red Sea and the Gulf of Aden at the east. Djibouti occupies a total area of just 23,200 km2 (8,958 sq mi). In antiquity, the territory was part of the Land of Punt and then Sabean and Axumite rule. Nearby Zeila (now in Somalia) was the seat of the medieval Adal and Ifat Sultanates. In the late 19th century, the colony of French Somaliland was established following treaties signed by the ruling Somali and Afar sultans with the French and its railroad to Dire Dawa (and later Addis Ababa) allowed it to quickly supersede Zeila as the port for southern Ethiopia and the Ogaden. It was subsequently renamed to the French Territory of the Afars and the Issas in 1967. A decade later, the Djiboutian people voted for independence. This officially marked the establishment of the Republic of Djibouti, named after its capital city. Djibouti joined the United Nations the same year, on 20 September 1977. In the early 1990s, tensions over government representation led to armed conflict, which ended in a power-sharing agreement in 2000 between the ruling party and the opposition. Djibouti is a multi-ethnic nation with a population of over 912,000 inhabitants. Arabic and French are the country's two official languages. About 94% of residents adhere to Islam, which is the official religion and has been predominant in the region for more than a thousand years. The Somali Issa and Afar make up the two largest ethnic groups. Both speak Afroasiatic languages, which serve as recognized national languages. Djibouti is a country located in the Horn of Africa. 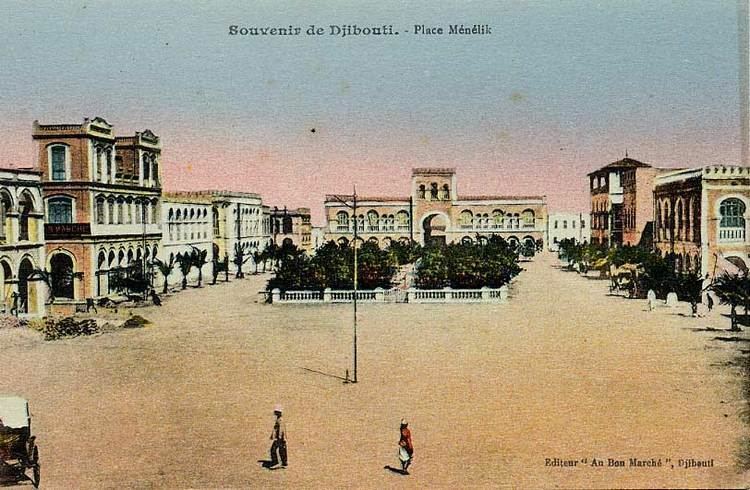 The official languages of Djibouti are Arabic and French. Djibouti gained freedom from France in 1977. Moucha Island is the largest island in Djibouti. The Djibouti area has been inhabited since at least the Neolithic. According to linguists, the first Afroasiatic-speaking populations arrived in the region during this period from the family's proposed urheimat ("original homeland") in the Nile Valley, or the Near East. Other scholars propose that the Afroasiatic family developed in situ in the Horn, with its speakers subsequently dispersing from there. The judicial system consists of courts of first instance, a High Court of Appeal, and a Supreme Court. The legal system is a blend of French civil law, Sharia (Islamic law) and customary law (Xeer) of the Somali and Afar peoples. Foreign relations of Djibouti are managed by the Djiboutian Ministry of Foreign Affairs and International Cooperation. Djibouti maintains close ties with the governments of Somalia, Ethiopia, France and the United States. Relations with Eritrea are tense due to territorial claims over the Ras Doumeira peninsula. Since the 2000s, the Djiboutian authorities have strengthened ties with China. Djibouti is likewise an active participant in Arab League and African Union affairs. The Djibouti Armed Forces include the Djibouti National Army, which consists of the Coastal Navy, the Djiboutian Air Force (Force Aerienne Djiboutienne, FAD), and the National Gendarmerie (GN). As of 2011, the manpower available for military service was 170,386 males and 221,411 females aged 16 to 49. Djibouti spent over US$36 million annually on its military as of 2011 (141st in the SIPRI database). After independence, Djibouti had two regiments commanded by French officers. In the early 2000s, it looked outward for a model of army organization that would best advance defensive capabilities by restructuring forces into smaller, more mobile units instead of traditional divisions. As the headquarters of the IGAD regional body, Djibouti has been an active participant in the Somalian peace process, hosting the Arta conference in 2000. Following the establishment of the Federal Government of Somalia in 2012, a Djibouti delegation also attended the inauguration ceremony of Somalia's new president. In 2001, the Djiboutian government leased the former French military base Camp Lemonnier to the United States Central Command for operations related to Combined Joint Task Force Horn of Africa (CJTF-HOA). In 2009, Central Command transitioned responsibilities in Africa to AFRICOM. The base has been considerably expanded, with drone flying part of the operation, and in 2014 a lease running at least 20 years was signed for its use. France's 13th Demi-Brigade of the Foreign Legion is based in Djibouti, but not in Djibouti City. Djibouti hosts France's largest military presence abroad, Japan's only foreign base, while China is building its first overseas base ever in the country. The country's coastline stretches 314 kilometres (195 miles), with terrain consisting mainly of plateaux, plains and highlands. Djibouti has a total area of 23,200 square kilometres (9,000 sq mi). Its borders extend 506 km (314 mi), 113 km (70 mi) of which are shared with Eritrea, 337 km (209 mi) with Ethiopia, and 58 km (36 mi) with Somalia. Djibouti is the southernmost country on the Arabian Plate. 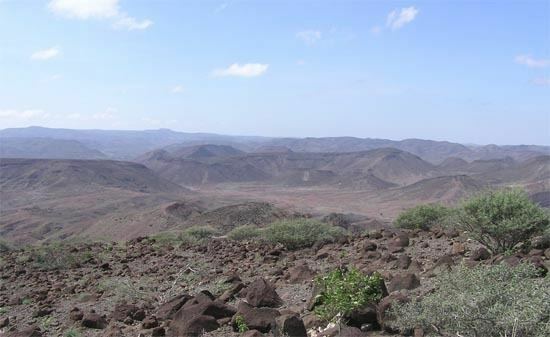 Djibouti's climate ranges from arid in the northeastern coastal regions to semiarid in the central, northern, western and southern parts of the country. On the eastern seaboard, annual rainfall is less than 5 inches (131 mm); in the central highlands, precipitation is about 8 to 11 inches (200 to 300 mm). The hinterland is significantly less humid than the coastal regions. The coast has the mildest climates in Djibouti. The 2015 Djibouti climate change bill has set a goal for the country to generate 100% of its energy from clean renewable energy sources by 2020. As of 2013, the container terminal at the Port of Djibouti handles the bulk of the nation's trade. About 70% of the seaport's activity consists of imports to and exports from neighboring Ethiopia, which depends on the harbour as its main maritime outlet. The port also serves as an international refueling center and transshipment hub. In 2012, the Djiboutian government in collaboration with DP World started construction of the Doraleh Container Terminal, a third major seaport intended to further develop the national transit capacity. A$396 million project, it has the capacity to accommodate 1.5 million twenty foot container units annually. The Djibouti firm Salt Investment (SIS) began a large-scale operation to industrialize the plentiful salt in Djibouti's Lake Assal region. Operating at an annual capacity of 4 million tons, the desalination project has lifted export revenues, created more job opportunities, and provided more fresh water for the area's residents. In 2012, the Djibouti government also enlisted the services of the China Harbor Engineering Company Ltd for the construction of an ore terminal. Worth $64 million, the project is scheduled to be completed within two years and will enable Djibouti to export a further 5,000 tons of salt per year to markets in Southeast Asia. As of 2010, 10 conventional and Islamic banks operate in Djibouti. Most arrived within the past few years, including the Somali money transfer company Dahabshiil and BDCD, a subsidiary of Swiss Financial Investments. The banking system had previously been monopolized by two institutions: the Indo-Suez Bank and the Commercial and Industrial Bank (BCIMR). To assure a robust credit and deposit sector, the government requires commercial banks to maintain 30% of shares in the financial institution; a minimum of 300 million Djiboutian francs in up-front capital is mandatory for international banks. Lending has likewise been encouraged by the creation of a guarantee fund, which allows banks to issue loans to eligible small- and medium-sized businesses without first requiring a large deposit or other collateral. The country's only international airport in Djibouti City serves many intercontinental routes with scheduled and chartered flights. Air Djibouti is the flag carrier of Djibouti and is the country's largest airline. The Ethio-Djibouti Railways a meter-gauge railway that was originally built by the French between 1894 and 1917. Although the railway is no longer operational, there are plans for the construction of a new modern rail line in the near future. The new Addis Ababa-Djibouti Railway started operation in September 2016. On 10 January 2017 the entire line was declared fully completed and a ceremony was held in Nagad railway station to inaugurate the Djibouti section. Railway services are provided by Djibouti Rail, which operates all commuter and freight railway services in the country. Djibouti's improved natural harbor consists of a roadstead, outer harbor, and inner harbor. The roadstead is well protected by reefs and the configuration of the land. A quarter of Ethiopia's imports and half of its exports move through the ports. Car ferries pass the Gulf of Tadjoura from Djibouti City to Tadjoura. Djibouti Telecom is the sole provider of telecommunication services. It mostly utilizes a microwave radio relay network. A fiber-optic cable is installed in the capital, whereas rural areas are connected via wireless local loop radio systems. Mobile cellular coverage is primarily limited to the area in and around Djibouti city. As of 2015, 23,000 telephone main lines and 312,000 mobile/cellular lines were in use. The SEA-ME-WE 3 submarine cable operates to Jeddah, Suez, Sicily, Marseille, Colombo, Singapore and beyond. Telephone satellite earth stations include 1 Intelsat (Indian Ocean) and 1 Arabsat. Medarabtel is the regional microwave radio relay telephone network. As of 2012, there were 215 local internet service providers. Internet users comprised around 99,000 individuals (2015). The internet country top-level domain is .dj. Tourism in Djibouti is one of the growing economic sectors of the country and is an industry that generates 53,000 and 63,000 arrivals per year, with its favorable beaches and climate and also include islands and beaches in the Gulf of Tadjoura and the Bab al-Mandab. The majority of tourists come to Djibouti from Europe. Other visitors come from North America and Asia. 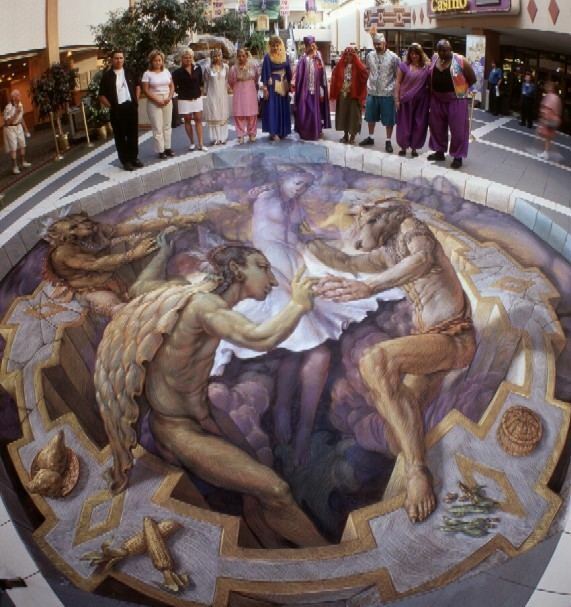 In 1995, there were 21,000 visitors but in 2013 there were 63,000. According to an August 2003 Energy Information Administration (EIA) analysis brief, Djibouti has an installed electrical power generating capacity of 85 MW, which is generated from an oil-fired generating station in the capital. In 2002 electrical power output was put at 232 GWh, with consumption at 216 GWh. At 2015, per capita annual electricity consumption is about 330 kilowatt-hours (kWh), moreover, about 55% of the population does not have access to electricity, and the level of unmet demand in the country's power sector is significant. 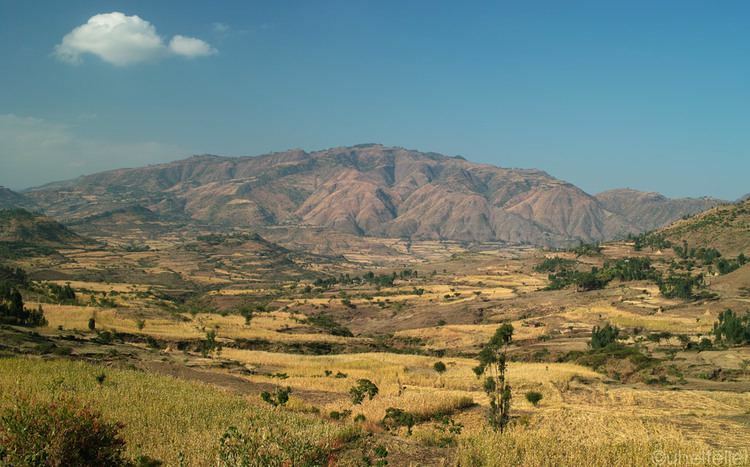 Increased hydropower imports from Ethiopia, which currently satisfy 30% of Djibouti demand, will play a significant role in boosting the country's renewable energy supply. The geothermal potential is generated particular interest by Japan, with 13 potential sites, they have already started the construction on one site near Lake Assal. The construction of the Photovoltaic power station (solar farms) in Grand Bara will generated 50 MW capacity. Djibouti has a population of about 846,687 inhabitants. It is a multiethnic country. The local population grew rapidly during the latter half of the 20th century, increasing from about 83 thousand in 1960 to around 846 thousand by 2016. The two largest ethnic groups are the Somali (60%) and the Afar (35%). The Somali clan component is mainly composed of the Issas sub-clan of the larger Dir, with smaller Gadabuursi Dir and Isaaq. The remaining 5% of Djibouti's population primarily consists of Yemeni Arabs, Ethiopians and Europeans (French and Italians). Approximately 76% of local residents are urban dwellers; the remainder are pastoralists. Djibouti also hosts a number of immigrants and refugees from neighboring states, with Djibouti City nicknamed the "French Hong Kong in the Red Sea" due to its cosmopolitan urbanism. Djibouti is a multilingual nation. The majority of local residents speak Somali (524,000 speakers) and Afar (306,000 speakers) as a first language. These idioms are the mother tongues of the Somali and Afar ethnic groups, respectively. Both languages belong to the larger Afroasiatic (Hamito-Semitic) family. There are two official languages in Djibouti: Arabic (Afroasiatic) and French (Indo-European). Djibouti's population is predominantly Muslim. Islam is observed by around 94% of the nation's population (approximately 740,000 as of 2012), whereas the remaining 6% of residents are Christian adherents. About 93.1% of Djibouti's women and girls have undergone female genital mutilation (female circumcision), a pre-marital custom mainly endemic to Northeast Africa and parts of the Near East that has its ultimate origins in Ancient Egypt. Although legally proscribed in 1994, the procedure is still widely practiced, as it is deeply ingrained in the local culture. Encouraged and performed by women in the community, circumcision is primarily intended to deter promiscuity and to offer protection from assault. Education is a priority for the government of Djibouti. As of 2009, it allocates 20.5% of its annual budget to scholastic instruction. The Djiboutian government has especially focused on developing and improving institutional infrastructure and teaching materials, including constructing new classrooms and supplying textbooks. At the post-secondary level, emphasis has also been placed on producing qualified instructors and encouraging out-of-school youngsters to pursue vocational training. As of 2012, the literacy rate in Djibouti was estimated at 70%. 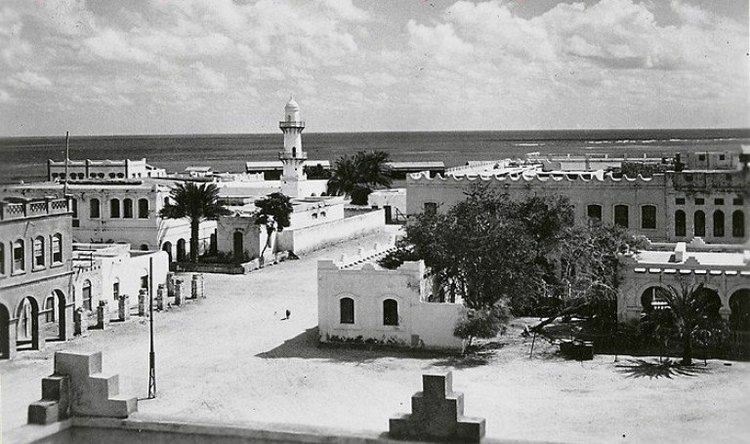 Additionally, Djibouti has a long tradition of Islamic literature. Among the most prominent such historical works is the medieval Futuh Al-Habash by Shihāb al-Dīn, which chronicles the Adal Sultanate army's conquest of Abyssinia during the 16th century. In recent years, a number of politicians and intellectuals have also penned memoirs or reflections on the country. 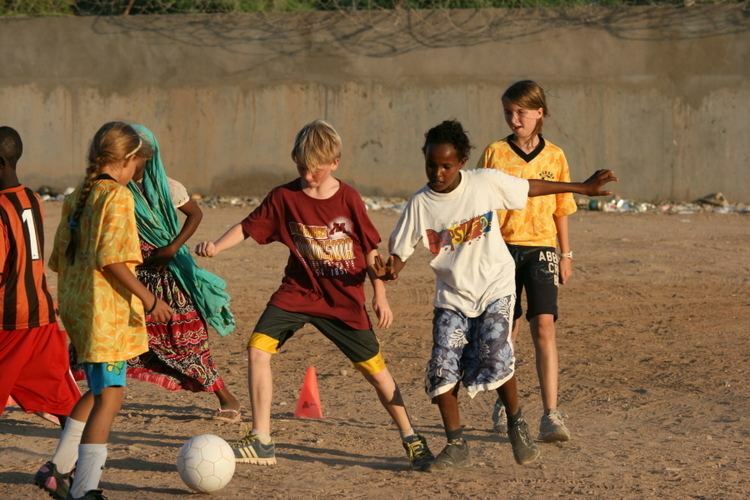 Football is the most popular sport amongst Djiboutians. The country became a member of FIFA in 1994, but has only taken part in the qualifying rounds for the African Cup of Nations as well as the FIFA World Cup in the mid-2000s. In November 2007, the Djibouti national football team beat Somalia's national squad 1–0 in the qualification rounds for the 2010 FIFA World Cup, marking its first ever World Cup-related win. Djiboutian cuisine is a mixture of Somali, Afar, Yemeni, and French cuisine, with some additional South Asian (especially Indian) culinary influences. 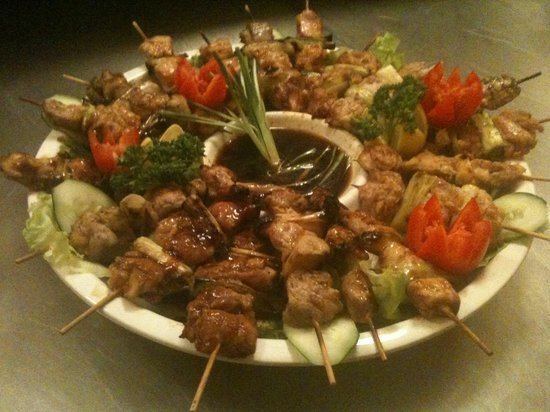 Local dishes are commonly prepared using a lot of Middle Eastern spices, ranging from saffron to cinnamon. Spicy dishes come in many variations, from the traditional Fah-fah or "Soupe Djiboutienne" (spicy boiled beef soup), to the yetakelt wet (spicy mixed vegetable stew). Xalwo (pronounced "halwo") or halva is a popular confection eaten during festive occasions, such as Eid celebrations or wedding receptions. Halva is made from sugar, corn starch, cardamom powder, nutmeg powder and ghee. Peanuts are sometimes added to enhance texture and flavor. After meals, homes are traditionally perfumed using incense (cuunsi) or frankincense (lubaan), which is prepared inside an incense burner referred to as a dabqaad.